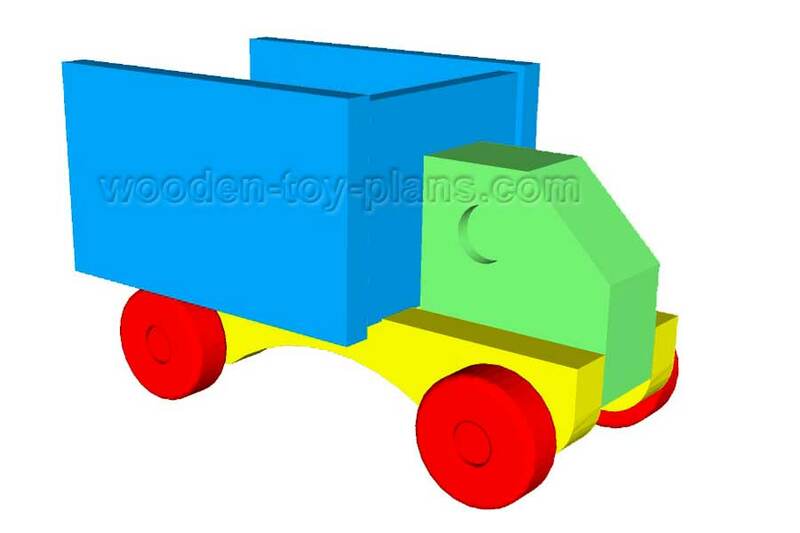 Download free wooden truck plans print ready PDF file including full size patterns and building instructions. Painted blue and yellow with food coloring makes an attractive toy. The color black was achieved by mixing all the colors together. 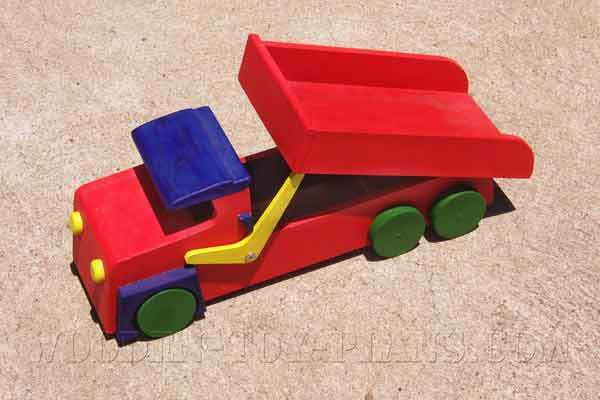 The truck body is made up of one 12mm thick piece of wood between two pieces 19mm thick to make up a total thickness of 50mm, or two inches. 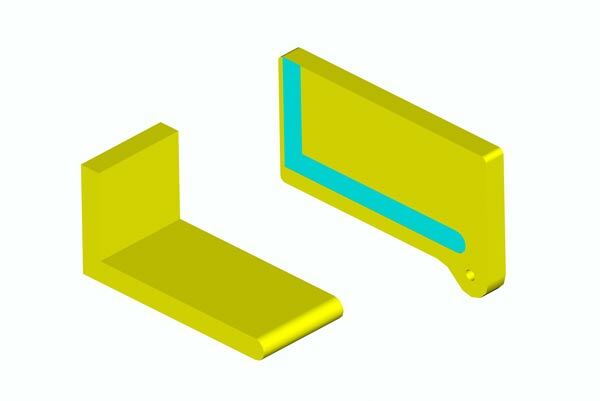 Of course, it would be so much easier to start with a piece 50mm thick. The tipper is made from 12mm or 1/2" thick timber. 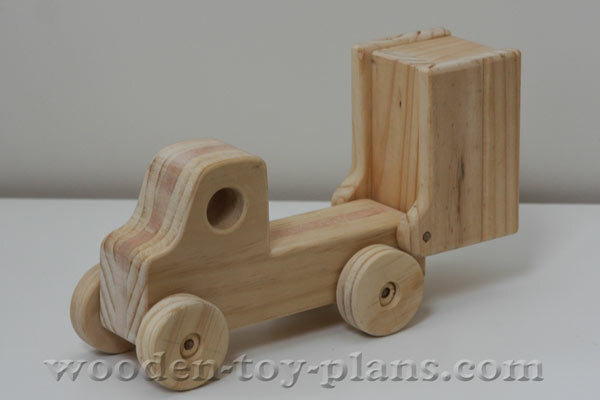 I made my own wooden toy wheels using the method outlined here, but you could also buy them from these suppliers. For the axles and the hinge pin for the tipper, I used 6mm dowel. This toy can be made with a limited number of power tools. Safety is always the first consideration when dealing with such small pieces of timber. Below is a list of some of the tools that I used to complete the project. These links will take you to a page on Ebay where you can get an idea of what is available today. A cordless drill, a jigsaw (sabre saw) and a scroll saw for cutting curves. A tenon saw (back saw), and a hacksaw to cut wooden dowels. Can you ever have enough clamps? A combination square, wood file, sanding block with 120 and 80 grit sandpaper. Here is how I made my own wooden wheels using a drill press and a circle cutter. Nice to have but not essential is a 12 inch disc sander or a linisher. A hot melt glue gun is useful in certain ways, and it certainly helps to speed up the process. Wood file to round over all the edges. Sanding block with 120 and 80 grit sandpaper. A selection of drill bits. The full version of the building instructions is included in the free download. 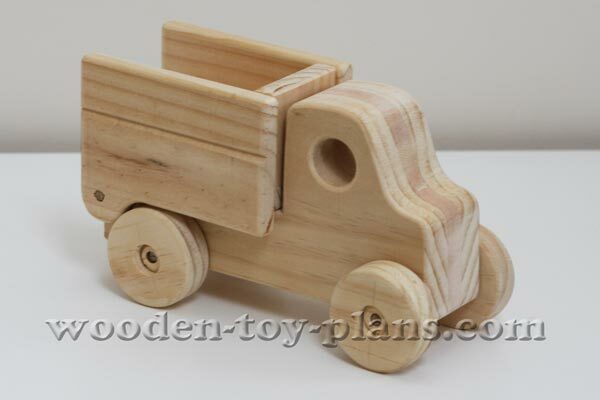 The tipper is made of 12mm pine. 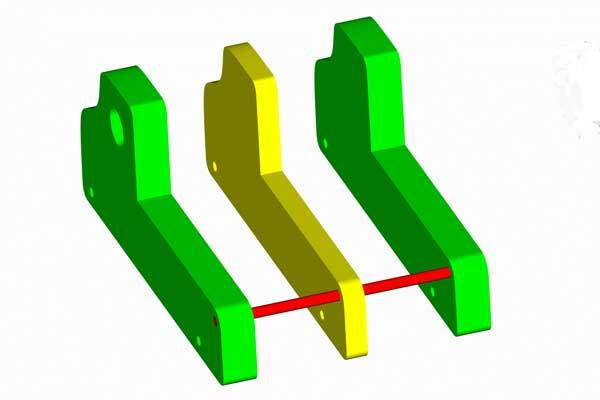 One end is radiused, and the two parts together to make an L-shape. Cut the sides to shape, drill the hole for the hinge pin and glue in place. Fit the tipper to the body and check to see if it can rotate freely. 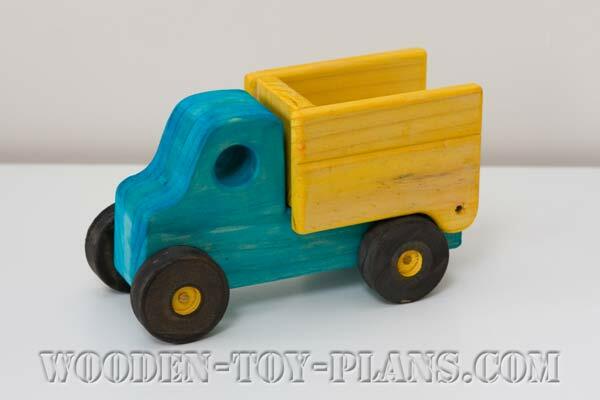 For this wooden toy truck, I made my own wheels, but you may choose to buy some. 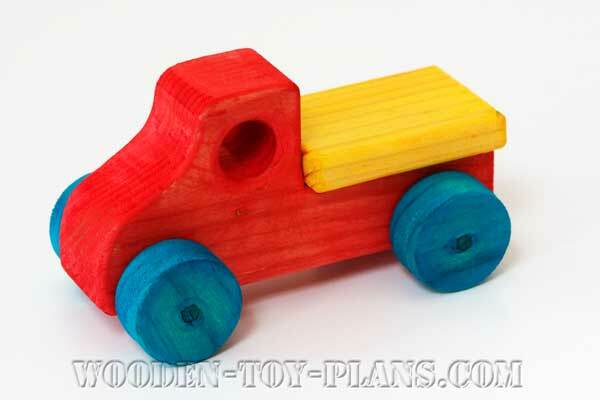 How to make wooden toy wheels.